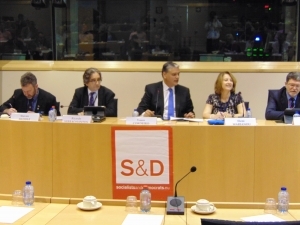 The CPMR Islands Commission gathered for its 35th General Assembly in Brussels at the European Parliament on 25th June, at the invitation of Ricardo Serrão Santos (PT-S&D), Tonino Picula (HR-S&D), Miltos Kirkos (GR-S&D) and with the participation of Vasco Cordeiro, President of the Government of the Azores and of the CPMR. The event, – co-financed and co-organised by the Socialists & Democrats Political Group -, was opened by Councillor Steven HEDDLE, President of the Islands Commission and Convener of the Orkney Islands Council. Energy was at the core of discussions among Island Authorities representatives. Despite their low level of access to natural gas and electricity and high reliance on hydrocarbons, Islands have shown considerable commitment to contributing to the EU climate targets for 2020. The Islands Commission hosted the 2nd signing ceremony of the “Pact of Islands”. After its launch in 2011 with 64 willing island authorities voluntarily committed to reducing their CO2 emissions by at least 20% by 2020, a further 32 Islands decided to join this pact. “Today the Energy Union is offering new opportunities for islands, but they should become pioneers for renewables and need to be united establishing new bridges including with the Covenant of Mayors,” stated Dominique Ristori, Director General at the European Commission DG Energy. Concerning migration, the CPMR Islands Commission believes that this is a European issue and should be dealt with as such. A European approach to migration requires a long-term effective, plural and integrated multilevel governance model for managing flows. During this session, delegates had the opportunity to exchange with Marta Cygan, Director at the European Commission DG HOME, who underlined that “the EU agenda on migration is about solidarity”. On Cohesion Policy, Island Members called for the implementation of the provisions set out in Articles 170 (energy, transport and communications) and 174 (permanent and geographic handicaps) of the EU Treaty and discussed the initial results of the CPMR survey on the governance of Cohesion Policy. The European Commission was represented by Normunds Popens, Deputy Director General for implementation, at DG Regional and Urban Policy. 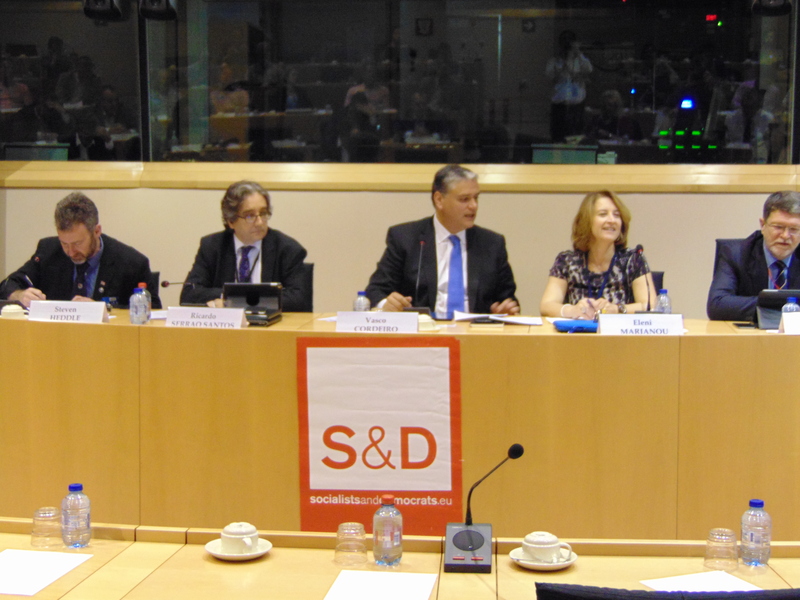 MEPs Alyn Smith, Claudia Monteiro de Aguiar, Neoklis Sylikiotis, Younous Omarjee, Salvatore Cicu and Roberta Metsola offered their contribution to the debates, participating in the different sessions of the General Assembly. A Final declaration was approved by participants “recognising the potential of islands to contribute to the EU climate goals; expressing solidarity to the islands of the Mediterranean that bear a significant responsibility with regard to humanitarian emergencies, and endorsing the public petition campaign “We Are All Mediterranean”; as well as “calling on the European institutions to fully consider the challenges of island regional authorities within the emerging debate on the post-2020 Cohesion Policy”.